Tomboy is a cross-platform notetaking application for the GNOME desktop. It is simple and easy to use, and makes the everyday requirement of taking little notes very useful. Additionally it is able to synchronise notes with a local folder, or over SSH and WebDAV. 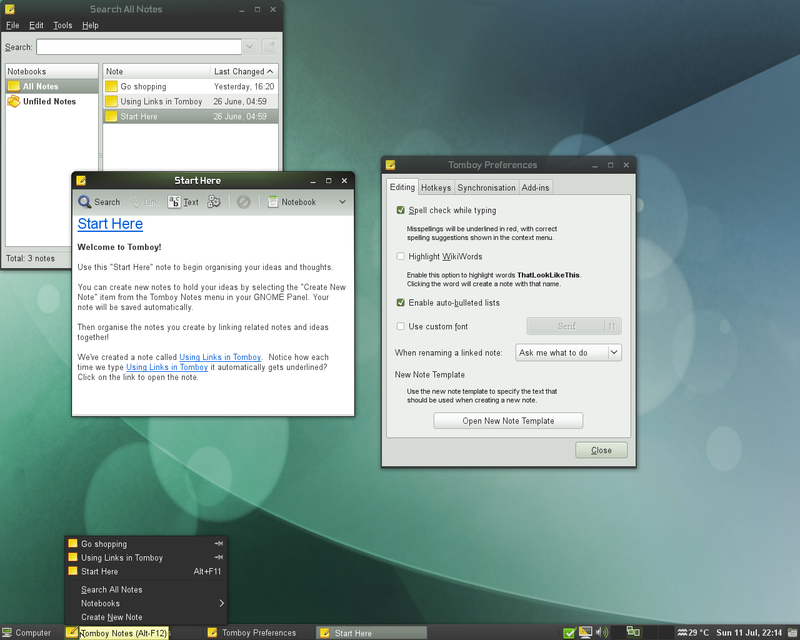 Tomboy is a part of the default GNOME installation in openSUSE, and appears on the default panel just beside the main-menu. Just hit Alt+F12 on the keyboard to bring up your Tomboy notes. Synchronisation of notes over SSH or WebDAV, or with a local folder. This page was last modified on 31 December 2010, at 18:57.